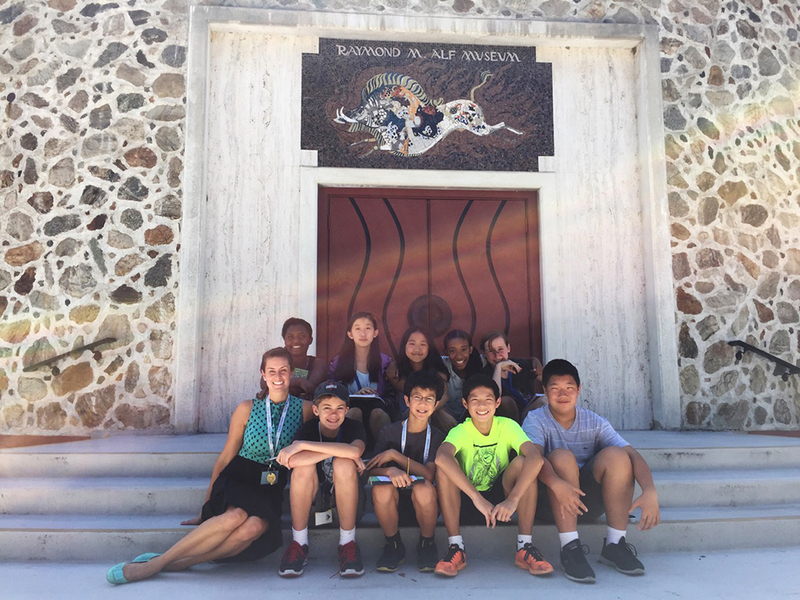 From the Finnegan Lab, Emily Orzechowski helped organize a science workshop in June for West Contra Costa Unified School District elementary school teachers through the Exploring Science Collaboration at Pinole Elementary school program. 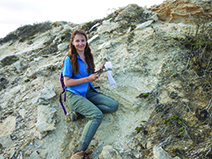 Together with Sydney Minges (an undergraduate student in Integrative Biology and EPS), Emily then conducted fieldwork along California’s central coast where they collected Late Pleistocene mollusk fossils from the marine terraces surrounding Cayucos and Morro Bay. Following this trip, Emily headed out to the Palos Verdes Hills and San Nicolas Island with Seth Finnegan and Daniel Muhs (USGS) where they collected fossils from marine terrace deposits spanning 1.4 million in age. These fossils and other data will be used to reconstruct paleoenvironmental and biogeographic changes that have occurred along the California coast. 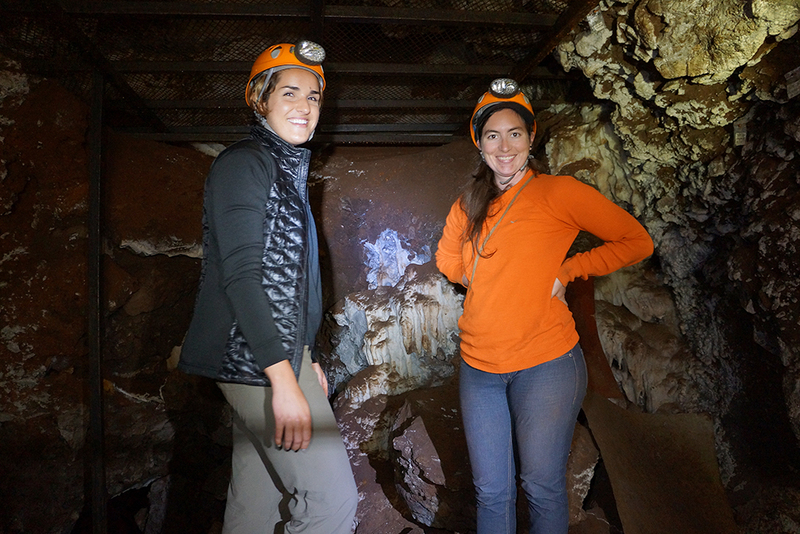 During the summer Marianne Brasil and Tesla Monson traveled with their advisor Leslea Hlusko to South Africa to look at fossil primates. They spent one week at the Evolutionary Studies Institute, University of the Witwatersrand in Johannesburg, and a week at the Ditsong National Museum of Natural History in Pretoria. 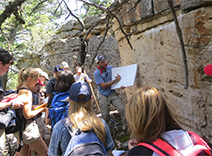 They toured several important paleontological sites including Kromdraai, Drimolen, Swartkrans and Sterkfontein. Later in the summer, Tesla spent time at the Smithsonian National Museum of Natural History facilities looking at extant artiodactyla. Marianne’s fieldwork in Africa continues and she is spending early 2016 in Ethiopia. 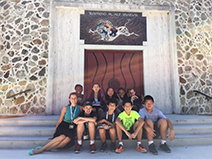 Recent graduate Jessie Atterholt was excited to share news of her full-time teaching appointment at the Webb Schools in Claremont California. She spent the summer teaching the Junior Scholars Paleontology Program at the Raymond M. Alf Museum and she’ll now have Andy Farke and Don Lofgren as colleagues at the Alf Museum and Webb Schools. 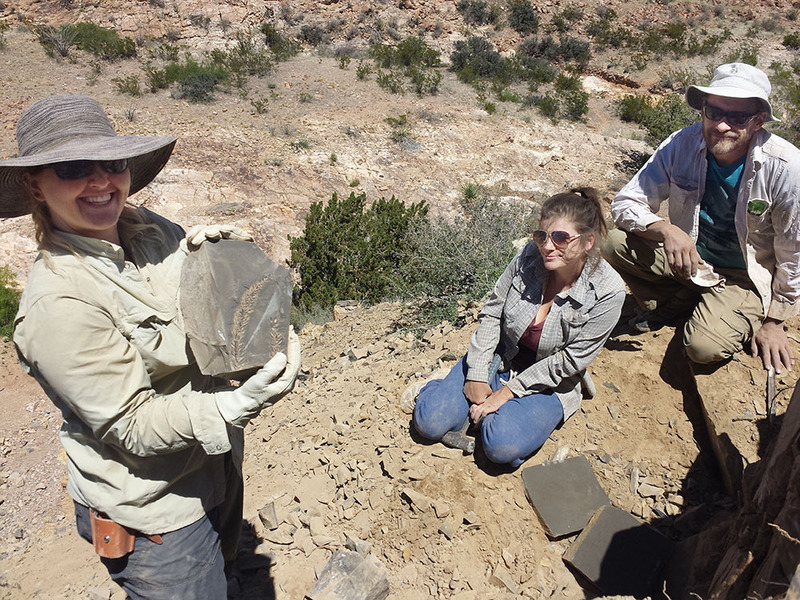 Dori Contreras and advisor Cindy Looy went on a field excursion to New Mexico last spring splitting fieldwork between Cindy’s Permian plant sites (with collaborators from the Smithsonian and New Mexico Museum of Natural History) and Dori’s Cretaceous sites with plenty of great new fossils brought back to Berkeley. 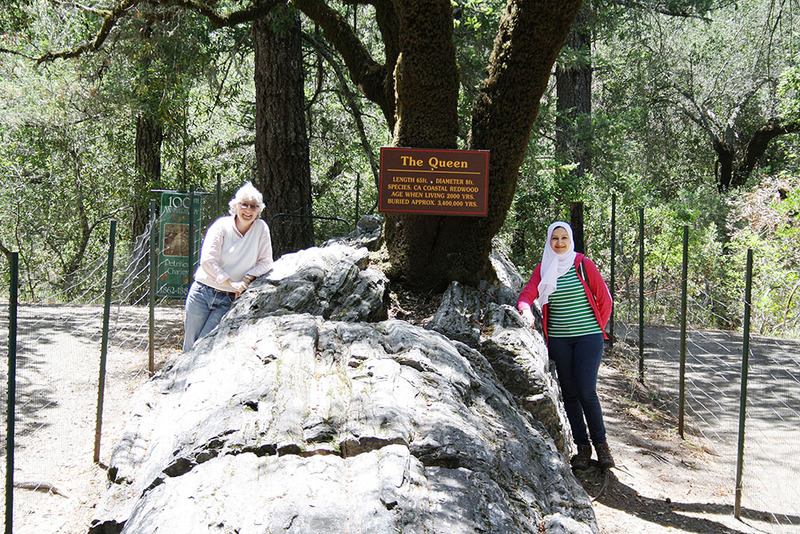 When they returned the entire Looy Lab took a road trip north to the redwoods in Arcata (Humboldt State University) for the Midcontinental Paleobotanical Colloquium where they presented in oral and poster format the range and scope of their work. Later in the summer Dori presented her work, Morphological diversity among basal Cupressaceae: a new Austrohamia species from the Early Jurassic of Patagonia, Argentina (with co-authors: Ignacio H. Escapa, Rocio Iribarren, N. Ruben Cúneo) at the Botanical Society of America Conference. Also from the Looy lab, Jeff Benca received a National Geographic Society/Waitt grant to fund an expedition to Siberia last summer in hopes of better understanding the collapse of plant communities at the end of the Permian. 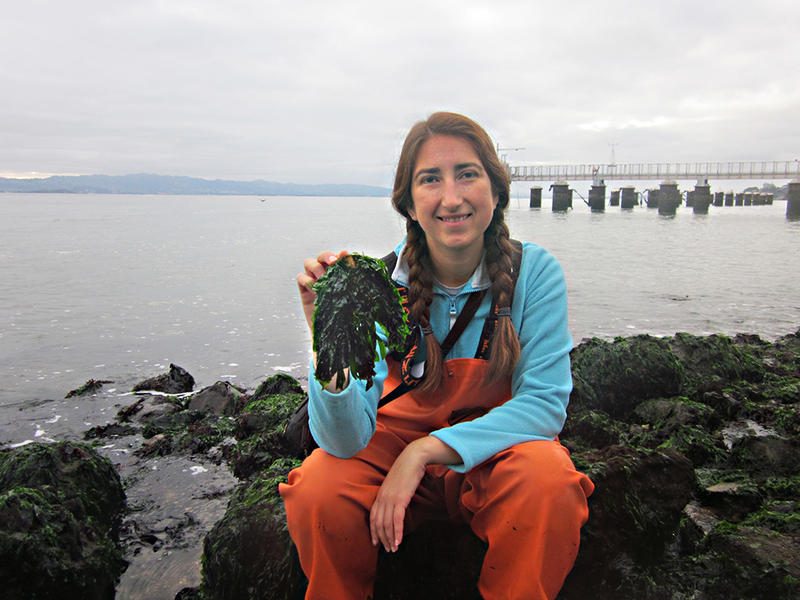 Rosemary Romero spent most of summer monitoring Ulva (sea lettuce) populations in San Francisco Bay. Accompanied by a team of UC Berkeley undergraduates, she cultured water samples to determine presence of reproductive spores in Bay water and tested the effects of benthic herbivores on Ulva recruitment. In addition to finding high numbers of Ulva, the team spotted a single bat star and many sea hares for the first time in 3 years of surveys. Rosemary states “the bat star is a good sign that seastar populations may be recovering from the recent wasting disease but the sea hares indicate that warmer water on the outer coast are impacting fauna in the Bay. These sea hares are much more common to southern California waters.” In August, Rosemary presented at the Phycological Society of America Meeting in Philadelphia, Pennsylvania. Natalia Villavicencio visited 4 different museums, looking for suitable specimens of South American extinct megafauna for radiocarbon dating. She visited The Field Museum in Chicago, The Natural History Museum in London, The Swedish Museum of Natural History and the Natural History Museum of Denmark researching collections from Bolivia, Brazil, Peru and Argentina. 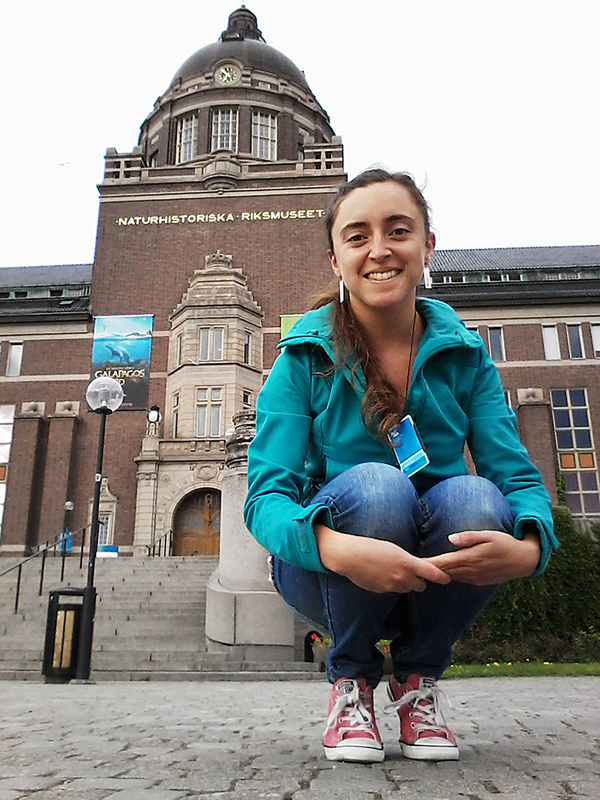 She also found time to attend a course on modeling species distributions under climate change held at the Center for Macroecology and Evolution in the University of Copenhagen. From the Marshall Lab, Jun Lim spent the summer studying the community ecology and population genetics of Hawaiian arthropod assemblages as part of a multi-institutional team funded by a NSF Dimensions in Biodiversity grant. The research aims to better understand how ecological communities change through time using the Hawaiian archipelago as a study system. To do this, Jun and team have been sampling forest arthropod communities across landscapes of varying age. In Jun’s “spare time” he has also been collecting plant specimens from the Big Island and on Maui. 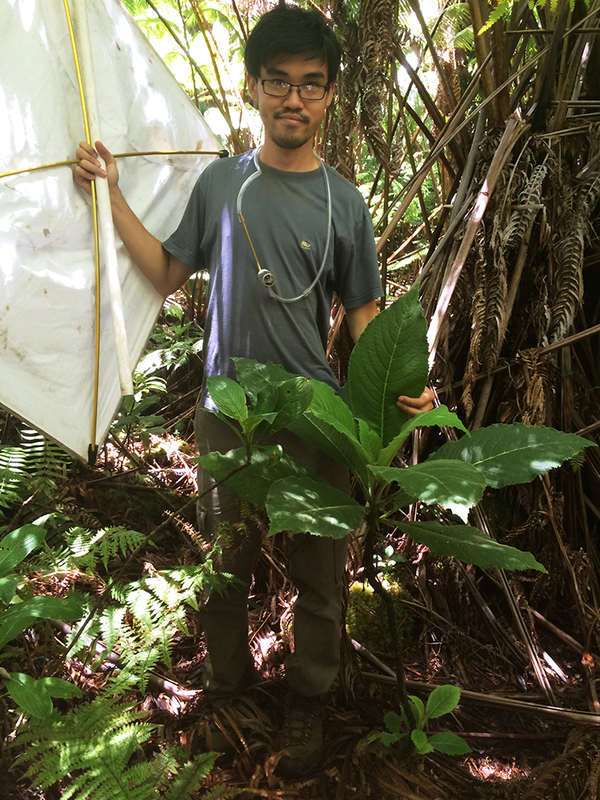 As part of his dissertation, Jun’s studying a group of Hawaiian endemic pepper plants (Peperomia spp. ), a common denizen of the understory of mesic and wet forests. Camilla Souto went to the 15th International Echinoderm Conference in Mexico and later traveled to Sydney, Australia for a Fossilworks Intensive Workshop in Analytical Paleobiology. While there she visited the Australian Museum in Sydney and the Victoria Museum in Melbourne to analyze cassiduloid echinoids, both fossils and extant taxa. Camilla’s summer also included spending a month at the Smithsonian for additional research on echinoids. If that was not enough, Camilla also spent part of the fall semester in Moorea! Post doctoral scholar Brian Rankin and retired UCMP Research paleontologist Howard Hutchison in the Uinta Basin in eastern Utah. UCMP student assistants supervised by Pat Holroyd made excellent progress on the IMLS McKittrick grant and Sara ElShafie wrote a feature article for Berkeley Science Review (http://berkeleysciencereview.com/article/bones-bell-tower/). Sara writes about the importance of preserving the collection from the small but significant McKittrick tar seep near Bakersfield and the contributions of the staff and students working on the project. 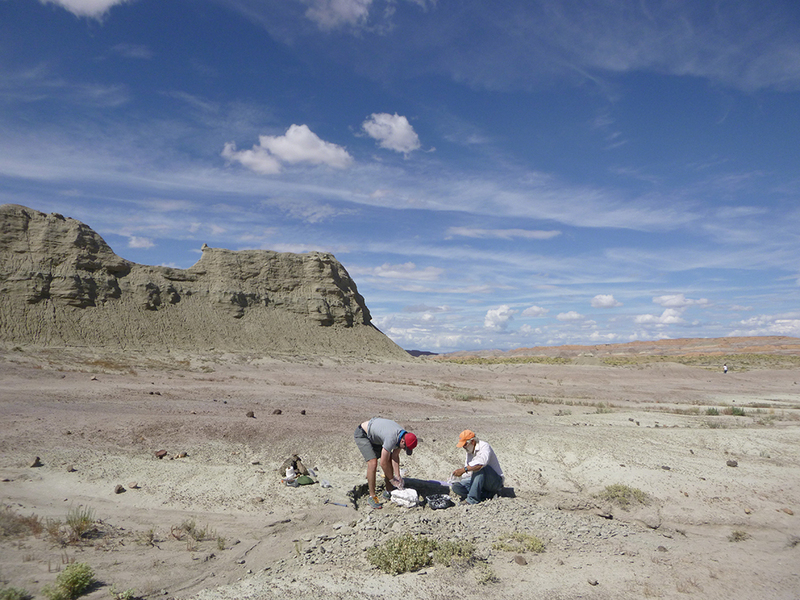 Pat and one of UCMP’s postdoctoral scholars, Brian Rankin, and retired UCMP research paleontologist, Howard Hutchison, had a busy summer in the collections and in eastern Utah exploring Eocene horse evolution, among other things, in the Uinta Basin field area. 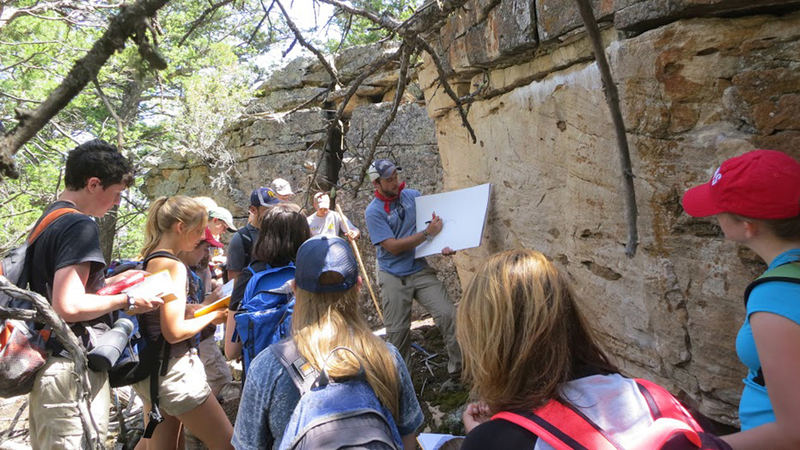 Padian Lab undergraduate Savannah Blake spent the summer working with Anjan Bhullar and his students at Yale, while Ben Kligman completed another year of interning at the Petrified Forest National Park with Adam Marsh, Bill Parker, and others. Ben is becoming a first-rate expert on the vertebrate microfauna of the Triassic, a tremendous source of paleoecological information. We will also be saying goodbye to undergraduate alum Sarah Tulga, who is heading to the University of Chicago to begin her PhD studies. Sarah has been a tremendous contributor to the UCMP in the lab, the collections, and the public outreach program.The Padian lab wish farewell to Liz Ferrer in 2015 as she finished her PhD and is now a postdoctoral scholar at the American Museum of Natural History in New York with Amy Balanoff and Mark Norell. Six new graduate students joined UCMP faculty labs in fall 2015: Eric Holt (BA in Integrative Biology from UC Berkeley) joined the Barnosky Lab, Benjamin Muddiman joined the Looy Lab, Larry Taylor joined the Finnegan Lab, Daniel Latorre (BS in Biology and MS in Ecology from, University of Sao Paulo - Brazil) joined the Marshall Lab, and Makenzie Kirchner-Smith (BA in Geological and Earth Sciencesz from Indiana University) and Peter Kloess (BA and MA in Geology from California State University, Fulleron) joined the Padian Lab. Three new postdoctoral scholars joined UCMP labs in 2015, Giovanni Rapacciuolo (Marshall Lab), Adiel Klompmaker (Finnegan Lab), and Brian Rankin (Vertebrate collections). UCMP had a strong presence at the Society for Integrative and Comparative Biology(SICB) Annual Meeting in Portland, OR in January 2016. In addition an award-winning poster was presented by Sara ElShafie on “Paleoclimate reconstruction from the vertebrate fossil record: Paleogene temperature estimates of the North American Interior based on body size changes in glyptosaurine lizards (Squamata: Anguidae)” with co-author and former advisor Jason Head. Other UCMP students who presented posters at the meeting included Savannah Blake, Armita Manefzadeh (with co-authors Pat Holroyd and Brian Rankin), and Tesla Monson. Carol Hickman was pleased to catch up with former UCMP students at SICB who are all thriving professionally: Marta deMaintenon (Professor, University of Hawaii, Hilo), Sarah Boyer (Associate Professor, Macalester College), and Scott Nichols (Assistant Professor, University of Denver). Ross Nehm, who received an honorary membership award from SICB in 2014, recently changed positions and is a Professor at Stony Brook University with appointments in the Department of Ecology and Evolution and the PhD Program in Science Education.